April looks like a launch month of the year as many manufacturers are on a launching right from the beginning of the month. 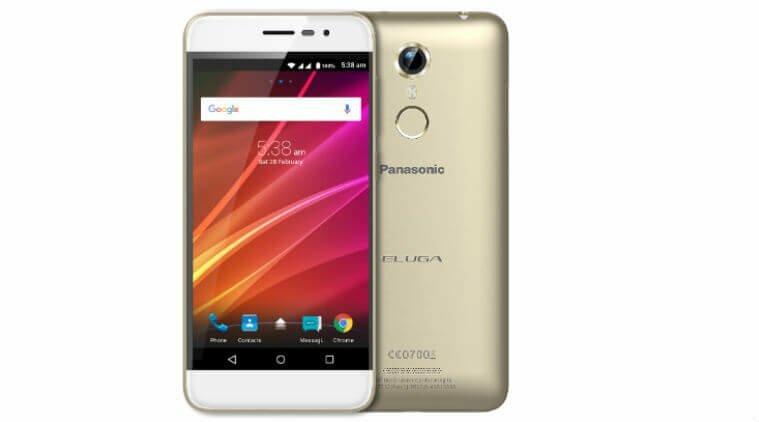 Well, this time, Panasonic has come up with yet another smartphone in its Eluga series, named as Eluga Arc. The smartphone has been priced at Rs. 12,490 and will be up for sale via online and offline retailers all over India. The Panasonic Eluga Arc features a 4.7-inch HD IPS 2.5D curved glass display with a resolution of 1280 x 720 pixels. It is powered by a 64-bit 1.2GHz quad-core Snapdragon 410 chipset coupled with 2GB of RAM and 16GB storage (expandable up to 32GB via microSD card). The device runs on Android 5.1 Lollipop with FitHome UI on top, and sports an 8-megapixel primary camera with LED flash along with a 5-megapixel selfie camera. In terms of connectivity, the phone supports Hybrid dual-SIM, 4G LTE with VoLTE (UMTS- 900/2100 LTE-B3/ B40), 3G, Wi-Fi, GPS, and Bluetooth 4.0. Backing the Panasonic Eluga Arc is an 1800mAh of battery with Qualcomm Quick Charge support. Given the pricing and specs, the Panasonic Eluga Arc is going to face stiff competition from Xiaomi Redmi Note 3, LeEco Le 1s, and Lenovo K4 Note. The rival devices are priced lower than the Eluga Arc. What’s your take on the Eluga Arc? Let us know through the comment section below. Panasonic india-are u serious in business in India? Your price and specification does not match with this highly price sensitive/competitive market! Lol for 1800mah battery ! Japanese have totally lost pulse of the smartphone market. At this price no one’s going to buy these phones.